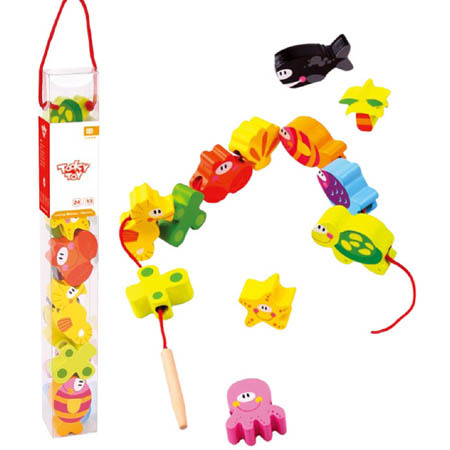 Lacing and threading are one of the best ways to improve and develop fine motor skills and the marine theme of these blocks allows for all sorts of stories as you swim or scuttle the creatures onto the thread. This set comes in a long see through package which is great for easy storage. The long lace has a blunt wooden needle on the end to make it easier to thread through the blocks and to stop the end fraying. We like this because: "Such a lovely theme. Pink octopus is my favourite. "